South Dakota's Lakes are an invaluable resource and are an economic engine for the state. This is especially true when it comes to the glacial lakes in eastern South Dakota. 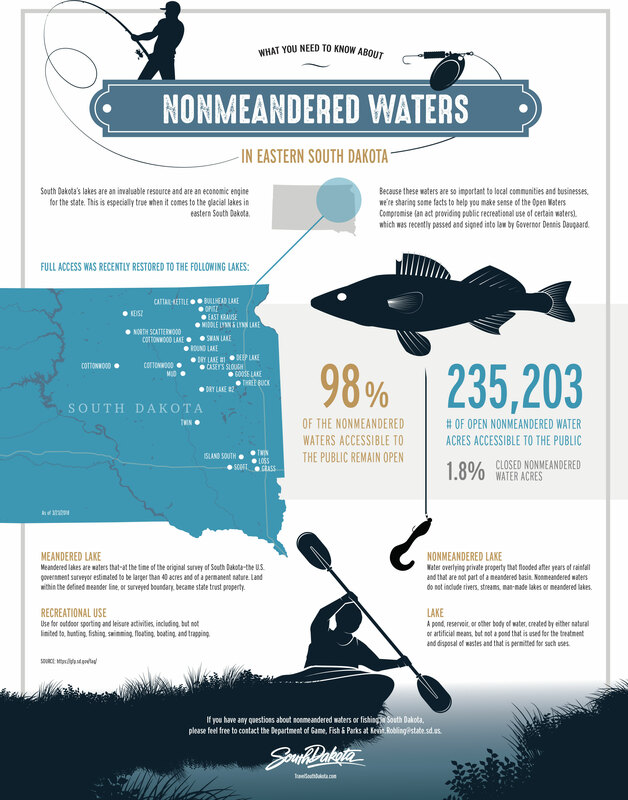 Because these waters are so important to local communities and businesses, we're sharing some facts to help you make sense of the Open Water Compromise (an act providing public recreational use of certain waters), which was recently passed and signed into law by governor Dennis Daugaard.